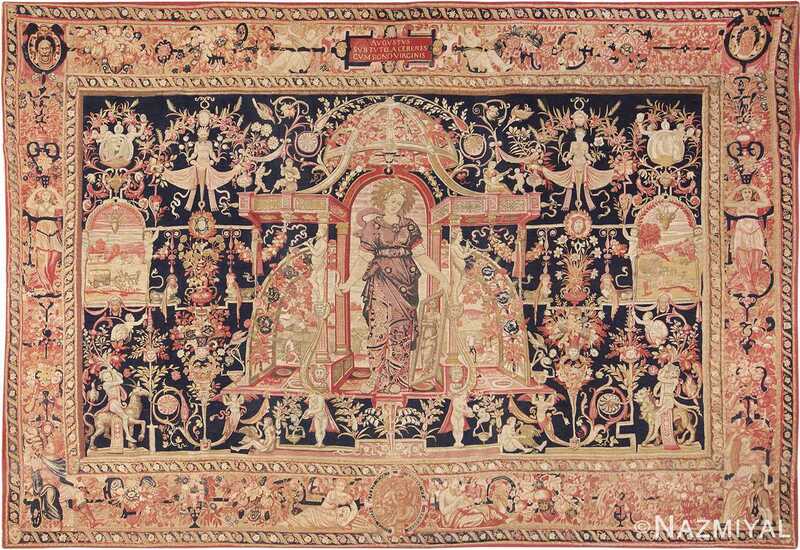 Antique Italian Julius Caesar Tapestry, Origin: Italy, Circa: 1880 – Here is a beautiful antique tapestry: a late nineteenth century Italian Tapestry, composed with the standards of classical beauty as a guiding light. 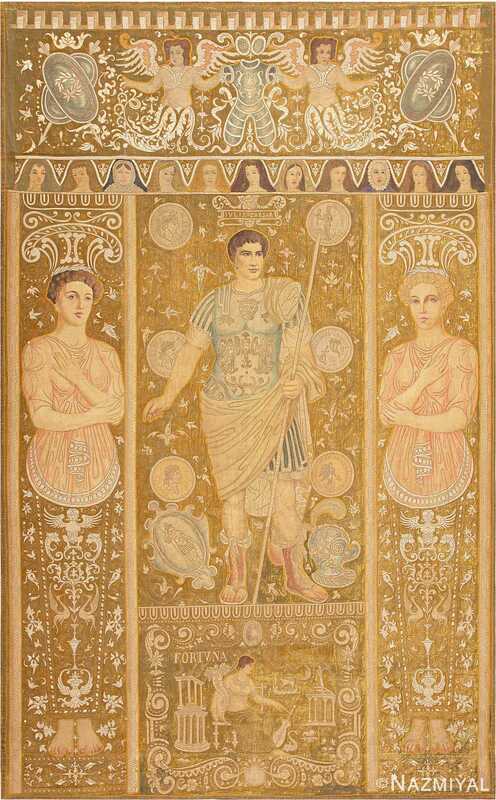 Harkening back to the preferred aesthetics of the Roman Empire, this masterful tapestry depicts none other than the great Julius Caesar himself, resplendent in a central field replete with Romanesque and Latinate designs. Not to be missed is the figure of “Fortuna,” Latin for “fortune,” personified, who stand below Caesar as though supporting him. A soft pallet of golds, browns and reds serve to give this tapestry a quiet air of sophistication while at the same time framing the composition in the context of classical design. This gorgeous tapestry is a special piece, with an appealing subject and a mastery of execution. 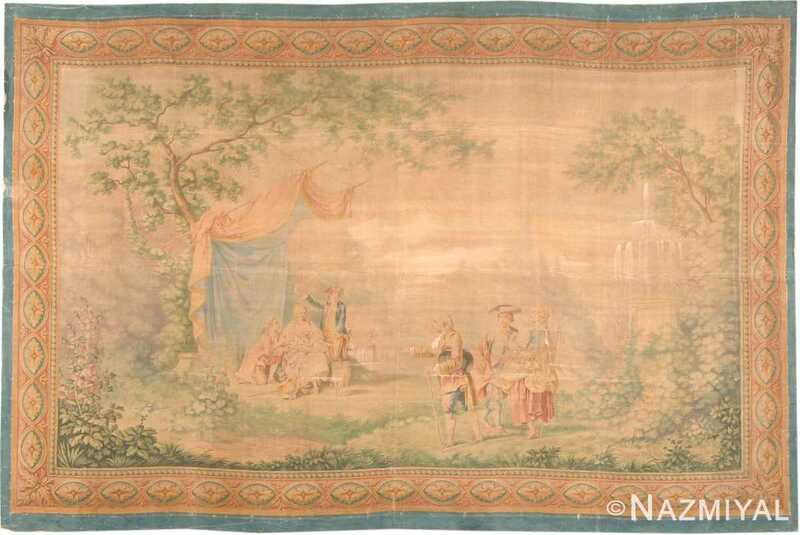 This elegant a antique painted textile from Italy depicts a bucolic scene inspired by Greco-Roman landscape painting. 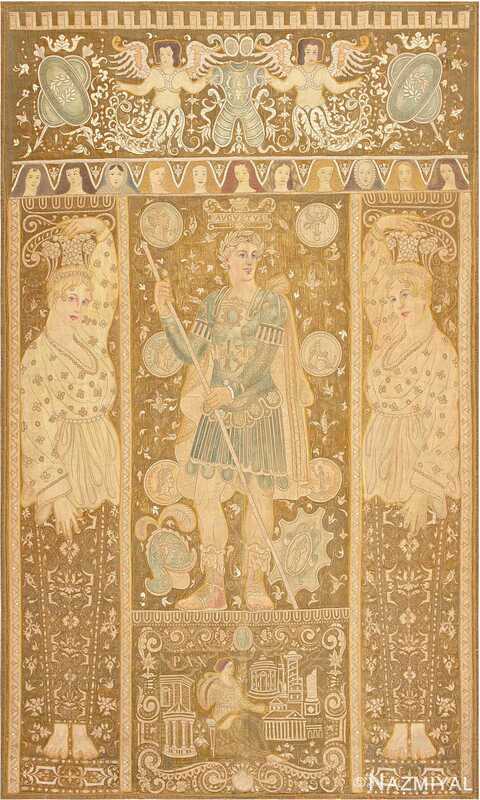 This impressive antique Italian tapestry harkens to the classical aesthetics of the Roman Empire, depicting Caesar Augustus in exquisite detail against a gold-colored field.